Spring has sprung and succulents are everywhere! 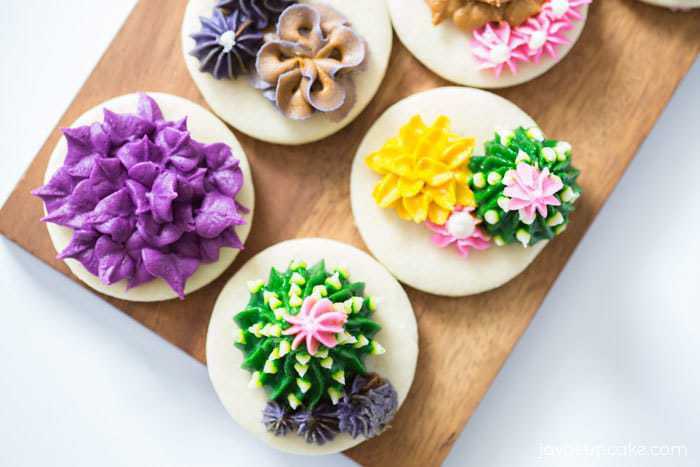 Not only can you grow these beauties, but you can learn how to make buttercream succulents with this simple tutorial! Most of you know I’m originally from Seattle and the inspiration for this blog came from the other foodies in the region. Specifically Jenny Keller of jenny cookies. Jenny and I met in 2010 when I enlisted her help to make cupcakes for the Cupcakes Take the Cake 6th Birthday Bash. However, it wasn’t her cupcakes that I was a fan of… it was her sugar cookies and her use of buttercream instead of royal icing. 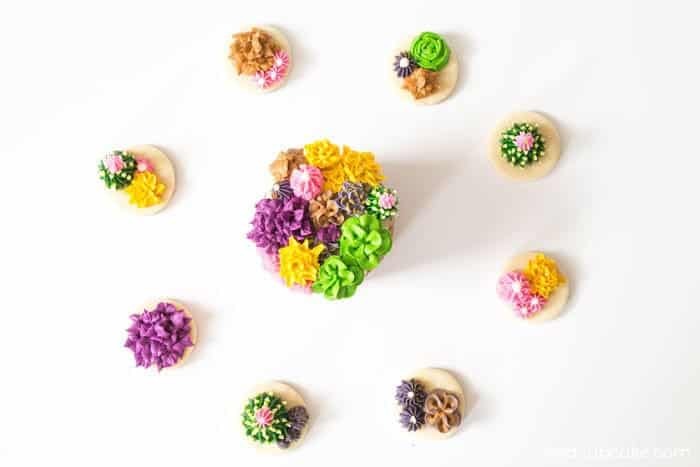 A couple years ago I put together a tutorial for royal icing flowers and more recently a tutorial for buttercream flowers for flower pot cupcakes. 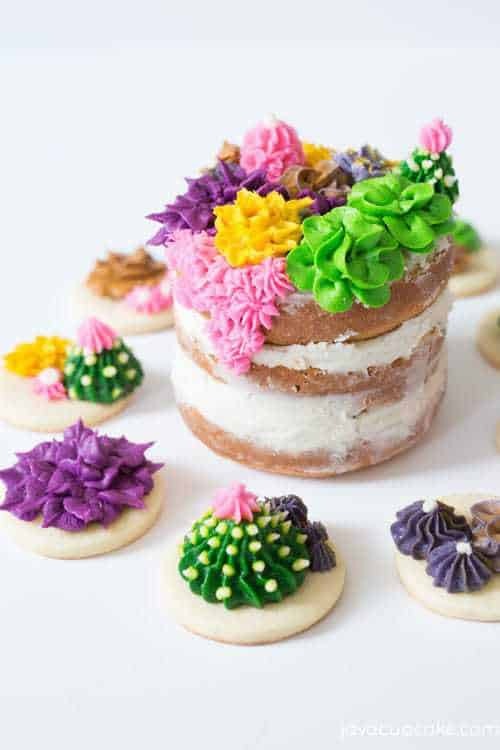 Buttercream succulents wouldn’t be too hard to make since I knew already how to make the other flowers. I watched a few video tutorials, used pictures from jenny cookies Instagram feed for inspiration and got to creating! These are the tools I used to help me make the buttercream succulents. You may find other tips or tools are better for you. There is really no right or wrong way to do this! 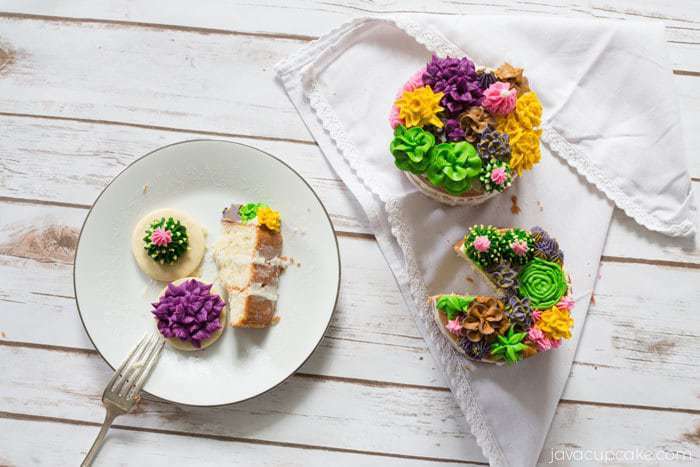 Before you begin piping buttercream succulents, you’ll want to prepare your work space. Follow these simple steps to ensuring you’re ready! Bake & cool completely cookies/cake. Make buttercream and separate into smaller bowls. Attach couplers to piping bags and fill with buttercream.If you don’t have parchment squares, cut parchment paper into 2-inch squares. Arrange your work space how it’s comfortable to you. I put the large baking sheet on the right with the filled buttercream bags and parchment squares off to my left. Directly in front of me was for building the flower on the nail. 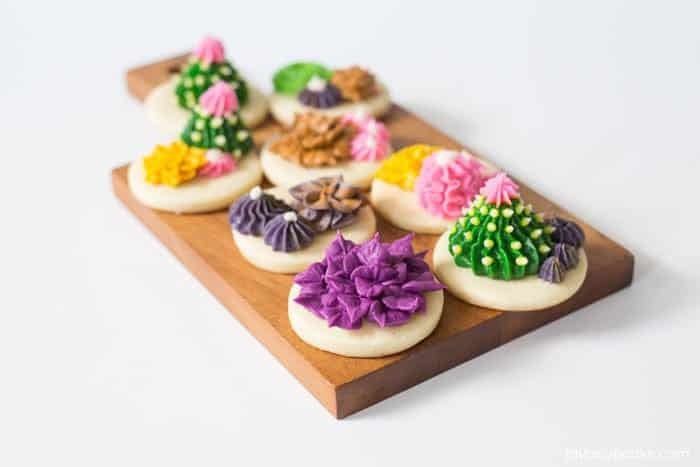 Instead of reinventing the wheel, I’m just going to share with you the amazing tutorial from CAKE STYLE I used to learn to make my buttercream succulents. I also watched the Wilton Succulents Tutorial and found it helpful! Chill buttercream succulents until they are firm. Place a small dollop of buttercream where you’ll be placing the succulent. Carefully peel succulent away from the parchment paper and place it gently onto the dollop of buttercream. Continue placing succulents until you feel there is enough. 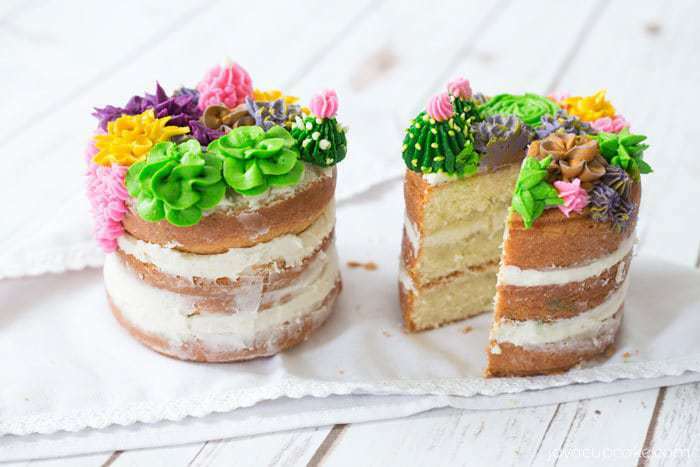 Fill in the holes between the succulents with remaining buttercream in your piping bags. Get creative with this! There is no right or wrong way! 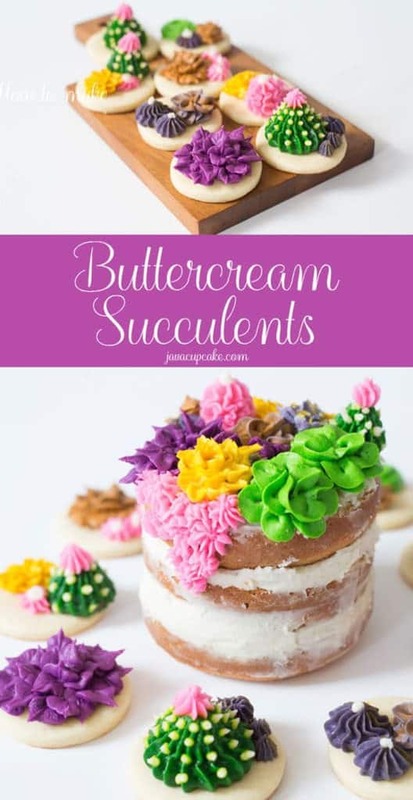 Let me know if you make any buttercream succulents! I’d love to see how yours turn out! Photography by Fanette Rickert Photography. how cute and trendy!!!! love! OMG!!! These are so pretty! I will totally be making these sometime soon! Courtney!! xxoo So glad you stopped by. I can’t wait to go dessert/cupcake exploring with you in the DMV!